Life is full of diversity and can present us with many different situations. While some are joyful, some can be very sad. Flowers are an expression of comfort at the time of loss and are the physical presence of love and feelings for the loss of a loved one or comfort and respect for a family member or friend. The comfort flowers bring to grieving families reaffirms the purpose flowers play in all of life's celebrations, especially at the time of losing someone close. We have the popular traditional funeral spray, large and stately and are generally used when close to family or ordering from a large company or group. Also used as an expression of comfort is the beautiful European Dish garden, complete with green and flowering plants, trimmed with fresh flowers, branching birds and beautiful bow. A beautiful foliage or flowering house plant set in a handsome wicker basket or decorative ceramic pot is also an appealing display of respect that is generally taken home in memory by a family member or friend. Click here for more information about the benefits of funeral flowers. Flowers have been constant in spreading joy, so what better way to lift someone's spirits who is not well, in the hospital, or just plain having a bad day? Nothing says "Be well soon" or "Thinking of you" like a bouquet of colorful fresh flowers proudly arranged in a complimentary glass vase or basket, as well as being accompanied by a thinking of you or get well soon mylar balloon! Or lift those spirits with our lovely selection of flowering orchids, in a decorative ceramic container, accented with our curly willow branching and designer ribbon. Jacobsen's " pick me up" pride is the diamond bowl which features a dozen beautiful short stemmed roses in the color of your choice, arranged with babies breath and choice greens… this arrangement is an excellent choice for some get well wishes. A perfect time for celebration and sending best wishes. Whether celebrating a grand opening or housewarming, express your happiness and joy for them, and participate in the wonderful news by sending your heartfelt congratulations! Make memorable with a one of a kind tropical floral masterpiece filled with exotic fresh orchids, birds of paradise and anthyrium that will surely mark that special occasion. Or send a beautiful green plant set inside a handsome wicker basket and trimmed to perfection. It makes a perfect long lasting gift to receive. Another alternative and can be shared by all is a delightful fruit basket, filled with fresh seasonal fruit, or a gourmet basket, filled with fruit and other wonderful delicacies. Whether you acknowledge a weekly anniversary, monthly or yearly, you will not want to forget to send the same magic you made. Whatever lasting impressions you would like to leave, make it unforgettable with a voluptuous bouquet of lilies, roses and orchids, exquisite in a keepsake vase! You may want to send the same flowers you gave to that special someone on your first date, or even the flowers used in your wedding! We can also make a lovely presentation for you in a wrap of cellophane complete with a large beautiful bow, or surprise that special person with her favorite flower times the years you've been together. Whatever your choice, we will make it exceptionally beautiful! 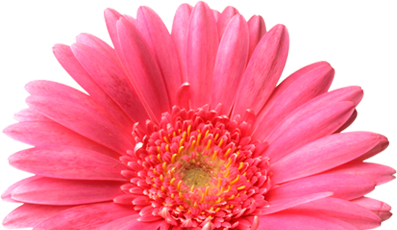 Marking a day of joy and jubilation for a new birth is the perfect time to celebrate with the power of the flower! Send a delicate arrangement in all shades of pink for that precious baby girl, or a robust arrangement in shades of blue or yellows for the wonderful baby boy! Lots of fun can be a welcome addition with large or small plush animals and color coordinated balloons all with a keepsake baby container for a lifelong memory. For that special adult in your life who is celebrating their own special day why not try a trendy or elegant container filled with their favorite flower, or shades of their favorite color! Young or old, celebrating with colorful fresh flowers, or year around flowering plants are a perfect way to make their day a memorable one. Research has proven that flowers and plants help us heal when we are hurting or bring us pure joy when we are happy. Keep in mind there is a time and the appropriate arrangement when sending thoughtful wishes. If you are not sure what type of flowers to send for any given occasion feel free to e mail us your question or concern, or call any of our three locations and we will be happy to assist you in your selection.